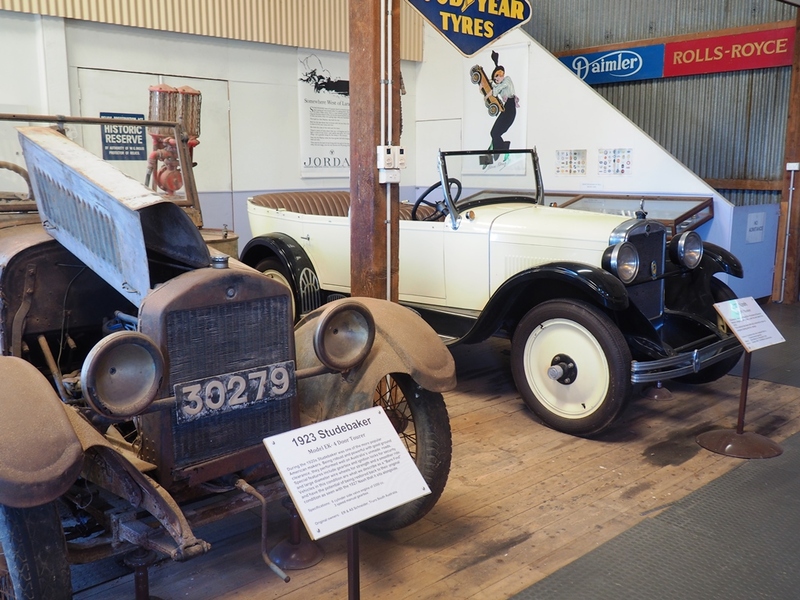 Come and see what the interior of a typical mechanical workshop looked like in the 1920s. 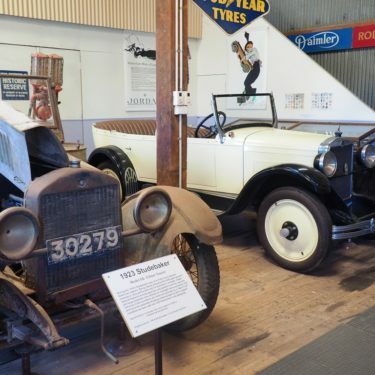 Museum volunteers have created a replica 1920s garage using tin signs, petrol pumps, original tools, advertising images, a fire extinguisher, and even a vintage typewriter and small office. 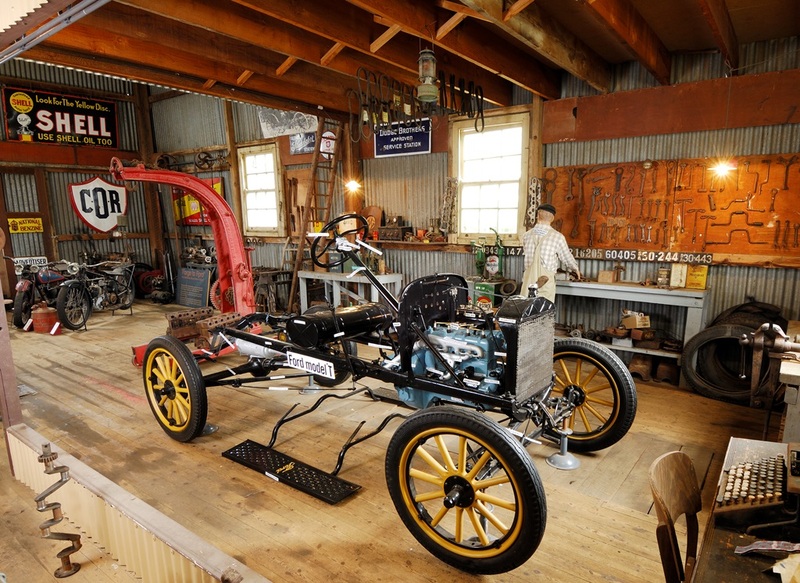 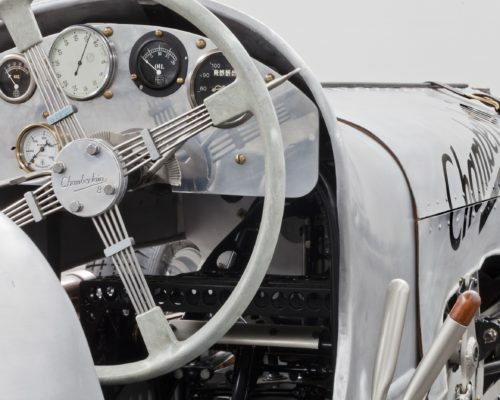 The main feature is a rolling Ford Model T chassis, designed to show the various components of a chassis, running gear and how they fit together. 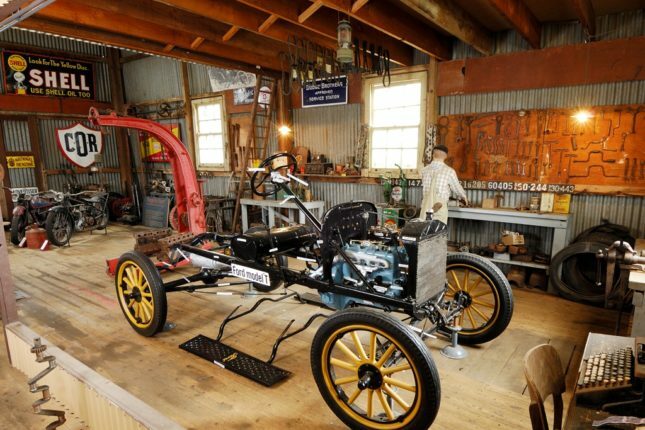 All parts of the Ford Model T were kindly donated. 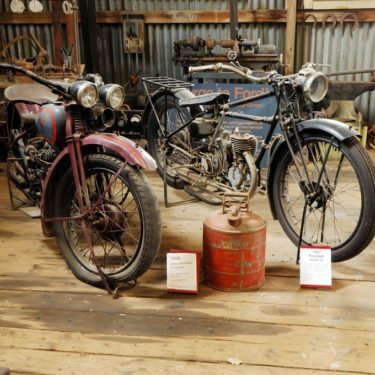 Other vehicles of the period also feature, such as a 1927 Nash Light Six Tourer, a 1929 Harley-Davidson and a 1927 Triumph Model W motorcycle. 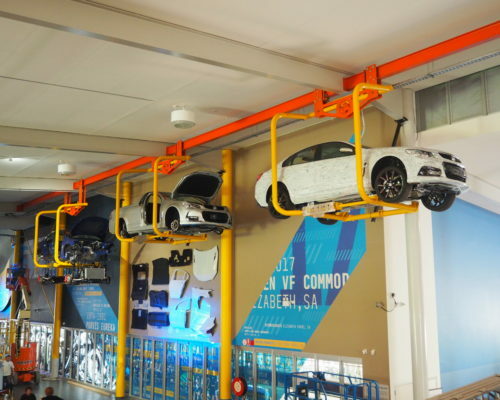 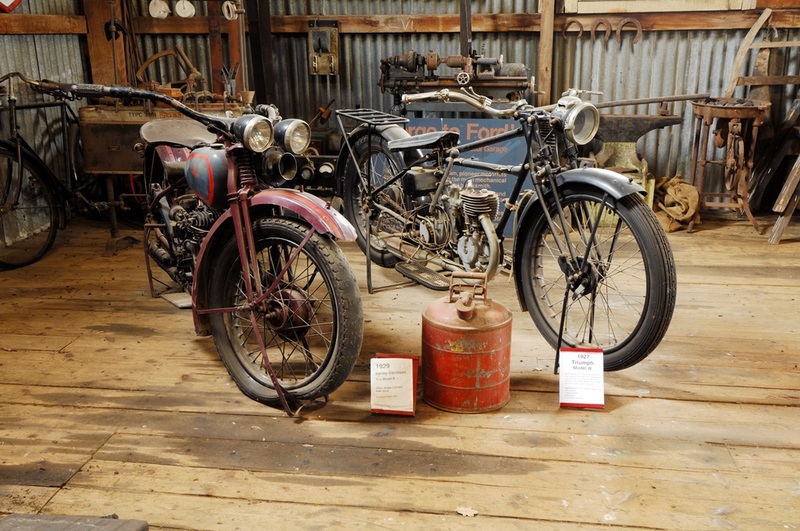 Visitors can see a great display of vintage and veteran hub caps and car badges, a selection of cut-away steering boxes and small engines, and a selection of spark plugs.